Judith Hermann observes in Trauma and Recovery that when an individual testifies to trauma, she is asking the bystander to share the burden of pain: to engage and to remember. Red of Split Water shapes this kind of witness into lyric insistence: “It is a locale of verifying the self, a sound recognized by its utterance as instantaneous uncertainty.” In this poetry, language divides from itself and returns: a movement both aghast and obsessed. The patterns of the poetry create repetitions and recognitions that the poet clasps and then releases in doubt, “she dis/written.” Yet a voice establishes itself here—resolute, wounded, brave. The reader comes to recognize, in solidarity, that we all are “born or brought into the world by un-beginnings or by severance.” Here is the poem as offering, an incantation for survival and healing. 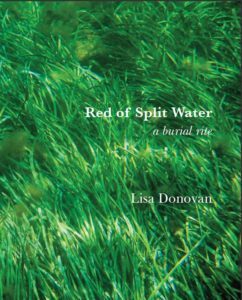 Red Split of Water, a burial rite – a book that is also ritual – to read (write) as ritual, one of waking, and in its two-fold sense: to come into awareness (to be born), and to keep vigil (“a sitting up at night with a corpse”). Here is a rite that allows us to, literally, fill in/enter into the blank spaces created by such waking. Within these shimmering gaps, Lisa Donovan’s constellations of violence and enduring witness are astonishing. In the places drenched by disappearances, you can hear a girl child, all through the long night, humming. “She is light, may not exist. Trees sink with the weight of glassy icicles. Are you here, little one?” Only a few pages into this emotionally epic work, and the chilling effects of this book already rank with, say, Charles Laughton’s The Night of the Hunter. This book of poetry, in various verse and prose forms, is beautiful, important, terrifying, and ultimately satisfying as few books of poems have ever managed to be. 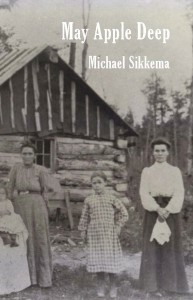 Lisa Donovan’s work has been a finalist for multiple prizes, including Kelsey St. Press’ FIRST! Poetry Prize. 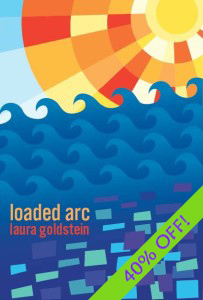 She holds a Ph.D. from the University of Denver’s Creative Writing Program, a M.F.A. from Brown University’s Literary Arts Program, and briefly studied at the Iowa Writer’s Workshop. Dr. Donovan currently teaches non-fiction writing to undergraduates at the University of Colorado, Boulder and to adults at the non-profit Lighthouse Writer’s Workshop in Denver. She lives in the very quaint town of Edgewater, CO where she walks her dog, Beatrice, and wonders about the life and upbringing of Nell Brinkley. there are boxes and there is wanting: an indictment of capitalism, of the mental health industry, of our culture’s inability to deal with other sorts of ways that humans are in the world. It is also a book full of ghosts. So it is a book that shimmers and it is an unusually complicated book, but one that is graceful in its negotiations, in its refusals. Necessary and impossible books are, perhaps, the most difficult to write and the most compelling to read: Danielle Collobert’s hauntingly staccato syntax in Survie (Survive), published just three months before her suicide on the day of her birth; M. NourbeSe Philip’s unearthing the ghosts of the slave ship ZONG!, their speech the texture of broken glass. And now, Tessa Micaela’s there are boxes and there is wanting. Grief, the kind that fractures your soul, sings an incantatory love song of loss in these poems, the body bent into rocking. It says, there is no language for what I am about to tell you, though I must try because in this attempt, I, and you, reader, might find some solace. there are boxes and there is wanting touches the hand of the “patient” it loves, it kisses the mouth, and pulls us into that space where mystery lives, wrapping its claws around our necks. 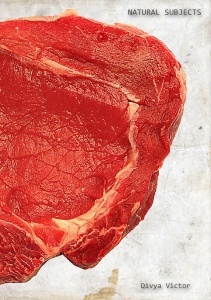 If a wound is a stroking place, then this stroking will live with you forever. Tessa Micaela Landreau-Grasmuck was born in Philadelphia and currently resides in Oakland with her dog, Ramona Pickle. Tessa has waited tables, bound books, worked as an abortion counselor, reproductive health educator, and birth doula, taught writing in the San Francisco county jail, studied herbalism, and carved out time to write between it all. Tessa was granted the first Community Poetics Fellowship from Mills College, where she received her MFA in 2013. 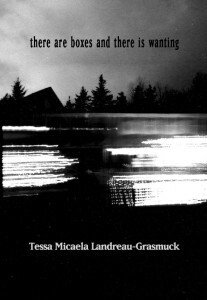 Tessa is the author of the chapbook Crude Matter (ypolita press, 2015). Other writing has appeared in Make/shift, Dusie, Open House, Sink Review, and various other jars and corners. there are boxes and there is wanting is her first book. “May I see your passport, please?” What are you a citizen of? What subject to? Are you natural or naturalized? What have you sworn to and will you tell true? Divya Victor, true to form in wit and poetic acuteness, has made a book about nations, nationality, and their notions by showing documents, facts, fictional and real heroines, instructions for assembly, and lyric lists that makes readers acknowledge their own disassembly, distribution, and/ or dispersal in an on-going diaspora. This acute work by Victor teases civic ideologies in all their motley, pervasive constructions by writing from multiple subjectivities and engineering defiance, struggles with agency, language play, appropriated commentaries, and revelations of loss. A multi-faceted book of high interest. A mandala of homeland motifs and constellations that are numbered but not named bursts, at the start of Divya Victor’s strangely painful and real new book, to reveal: talons, attempts, a “pose.” These initiating frames take us through a naturalization process – from the gathering of biometric data to the duplex-pomegranate-linoleum reverie of the pledge ceremony itself. Questions of “exit” and “enunciation” accrue a “blunt hum” as the book progresses. Lit from within by an “opal glass shade” or the “violent and excited” intake. Yet never clarified. Here, for example, is Dimple Kapadia, taking the stage like late onset “logopoeia.” Are you a “great scholar”? Are you a “lover”? Did you make your home in the trampled lot behind the Edison IKEA? Did you “maybe write things”? Victor has written a book that is both heart-breaking and a brilliant, effervescent and dark joke. Bhanu Kapil, author of Schizophrene. Divya Victor’s Natural Subjects, a tough-minded, audaciously structured, & subtly open-ended poem, closes in on the naturalization process by locating the small but bureaucratically nebulous frame of the passport photo and opening up the multi-layered points of stress and dislocated violence that frame marks. But that only gets at a little bit of what Natural Subjects does. I register things like an offhand cubist tonality, a witty examination of scale, a spin of the frame to let character-versions of Eliza Doolittle, Hedda Gabbler, and fräulein Maria in, and the shaping of poetic material that comes from many sources without leaning on them. Nothing is telegraphed. The book keeps opening each time I pass through. Divya Victor is the author of Things To Do With Your Mouth(Les Figues, 2014), Natural Subjects (Trembling Pillow, 2014), and Unsub (Insert/Blanc, 2015). She is also author of the Partial series (Troll Thread), Punch (2011), Goodbye John! On John Baldessari (2012), and Swift Taxidermies (2014), all from Gauss PDF; and the chapbook Hellocasts by Charles Reznikoff by Divya Victor by Vanessa Place (2011). She divides her time between the United States and Singapore, where she is Assistant Professor of Poetry and Poetics at Nanyang Technological University. Felix Bernstein reviews Divya Victor’s Natural Subjects at Jacket2. BookThug selects Natural Subjects for its 2015 Summer Reading List.